My Name is David Samoei from the University of Eldoret (UoE) in Kenya. 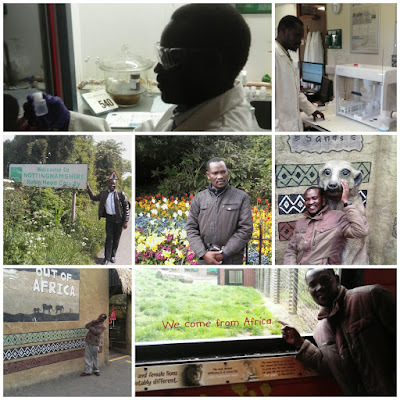 I work as a Senior Technician in the School of Environmental Studies, Department of Environmental Biology and Health. I assist in the project that explores links between soil geochemistry and the spatial incidence of oesophageal cancer in Kenya (see previous blog from Michael Watts). 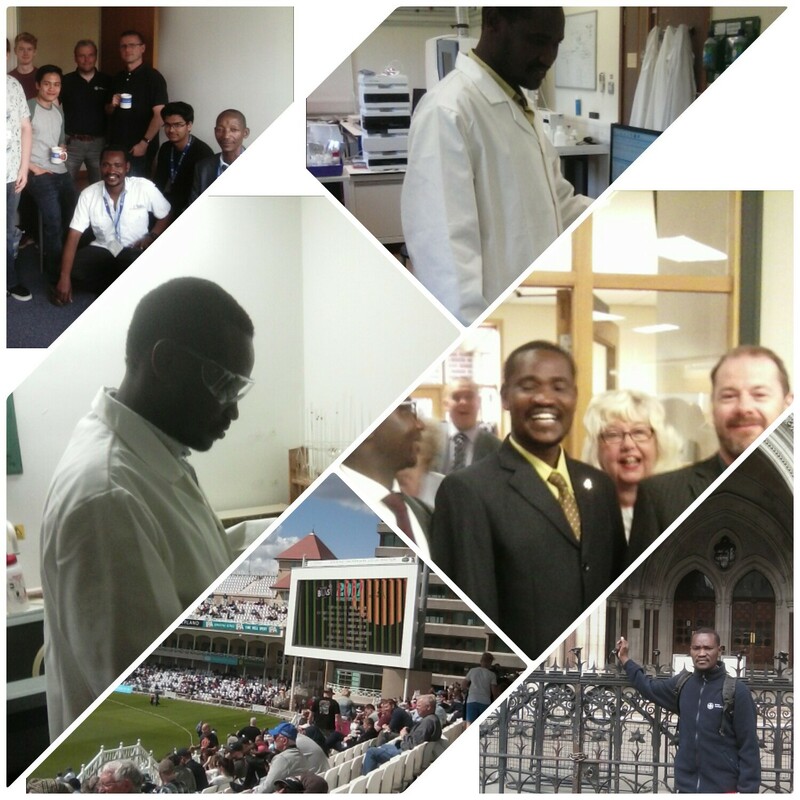 I undertook a Commonwealth Professional Fellowship (CSCUK) 2017 alongside a colleague, Takesure Tendayi who is also a Chief laboratory technician from the University of Zimbabwe School of Agriculture and Soil Sciences. This training took place with the Inorganic Geochemistry team at the British Geological Survey (BGS) in Nottingham. Our training exposed us to the use of state of art laboratory equipment i.e. ICP-MS, IC and NPOC. Due to the sensitivity of these equipment, I have an improved understanding of the importance of proper sample collection, sample handling, preparation of bulk reference materials and their need for Good Laboratory Practices that require clean environments, good protocols for sample and data traceability. As a result, we were exposed to Quality Control (QC), Data Management and Interpretative Skills with the use of simple excel spread sheet tools incorporating formulas to manage simple statistics, QC performance charts for laboratory equipment, handling of data outputs through to the client/end-user, importance of using certified reference materials and many more controls. All of which provide confidence in data issued from a laboratory for use in a regulatory, industry or peer review environment. We were introduced to the concept of Quality Assurance (QA), which is comprehensively wrapped up in ISO 17025. Whilst not every laboratory requires ISO accreditation, the maintenance of a quality management system is crucial to a laboratory, again for confidence in data outputs. The overview of principles of QA, which includes documentation, Standard Operating Procedures (SOP's), Quality Control samples and monitoring processes will help us develop our own systems in Africa and understand the challenges to implement them and possibly even aim for appropriate accreditation. Our collaboration with the BGS laboratories will act as a bench mark to this monumental task. This can be achieved in a stepwise and staggered manner. Accreditation is possible for Africa laboratories. Health and Safety, Waste Management is an integral part in all the processes and systems in laboratories in general, to safeguard staff safety, comply with legal and regulatory frameworks, ensure control of chemicals, hazardous equipment or procedures to minimise risk where possible. The safety designs, training instruction, and personal protective equipment (PPE) made a good impact on me, being asthmatic I was able to work in soil sample preparation laboratories without any complication, an area which could otherwise be dirty and dusty without extensive controls in place to protect staff and minimise sample contamination. This knowledge will be used to introduce simple steps to gradually improve awareness of health and safety, and waste management in our laboratories back in Africa. We experienced field collections visiting Colchester Zoo for Fiona Sach’s PhD project (see Fiona’s previous blog), introducing QA from collection through to reporting. 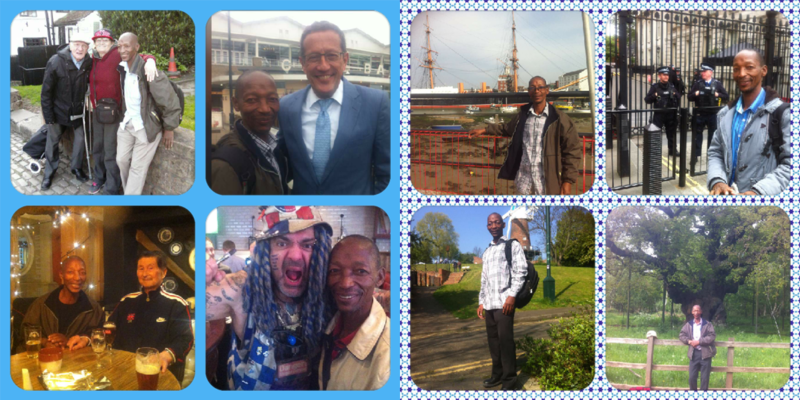 We explored more the UK during our training, which coincided with four bank holidays; these gave us opportunities to tour and interact with the wider British National Cultural Heritage. These moments were good refreshing breaks from the intensive training within BGS laboratories. We visited tourist sites around the country in London, Cardiff and Portsmouth experiencing the history and variety in the UK. African and overseas linkages: BGS is strategically placed to build networks by bringing scientist and specialist together from their already existing linkages and collaborations. Interactions between both myself and Takesure from Zimbabwe, Nottingham University and wider email correspondence with project partners, previous and future CSCUK Fellows has enabled us to develop a network to which we will support one another across Kenya, Zimbabwe, Zambia and Malawi to develop laboratory capabilities and design and implement improvement plans appropriate to our setting. There are further opportunities for collaboration in many areas including exchange of scientific ideas, University laboratory management and Inter-laboratory Standardisation, which will build synergies and improve the laboratory confidence output in our laboratories. While the program was intensive, the holidays, particularly the bank holidays allowed for visiting of places of historical interest, below Takesure Tendayi relaxes at some of the notable places of interest. Sneinton, Nottingham, Soccer Fanatics, World renowned Martial Arts Experts (Nottingham). Our next step was to attend joint training activities in Lusaka in September as part of a wider Royal Society-DFID project, linking laboratories from eight organisations across the four countries. The emailing and WhatsApp groups is help to one another in planning appropriate strategies for improving our laboratories, such as our own round robin analytical exercises using our own in-house produced reference materials which will provide a measure of performance for analytical data.